Lugano can be reached easily via Milan (from the South) and Basel or Zurich (from the North). The fastest way to get to Lugano from most places abroad is Milano Malpensa airport. 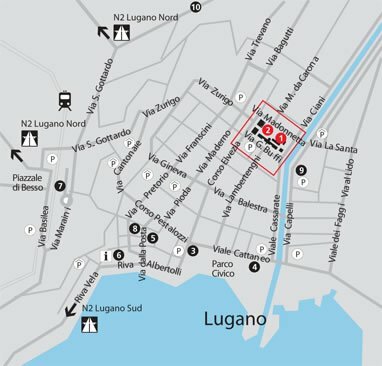 The latter is connected with frequent shuttle buses to Lugano. Other alternatives are to fly directly to Lugano’s small airport or to Zurich and to catch a train to Lugano. Please note that there is no direct transfer from Milano Orio al Serio airport as well as Milano Linate airport to Lugano. Therefore, we strongly advise you against flying in there, and recommend you to book your flight to Milano Malpensa airport or Zurich instead.